Flood Advisory issued April 22 at 2:42PM EDT until April 22 at 4:15PM EDT by NWS Upton NY The National Weather Service in Upton NY has issued a * Flood Advisory for... Suffolk County in southeastern New York... * Until 415 PM EDT. * At 241 PM EDT, Doppler radar and automated rain gauges indicated heavy rain due to thunderstorms. This will cause minor flooding in the advisory area. Up to one inch of rain has already fallen with an additional half to one inch of rain expected. * Some locations that will experience flooding include... Islip, Brentwood, Commack, Riverhead, Huntington Station, Centereach, Shirley, Deer Park, Lindenhurst, Medford, Southold, Hauppauge, Ronkonkoma, Manorville and Stony Brook. The Homicide Squad reports the details of a Serious Vehicular Accident that occurred at 10:35am on Sunday, May 24, 2015 in Oceanside. Update - May 25, 2015 - The victim, Michele Penque, 27, of Rockville Centre succumbed to her injuries and was pronounced at 4:34pm on May 24, 2015 by a staff physician at South Nassau Communities Hospital. There is no criminality involved in this accident. The original press release is below. Oceanside, NY - May 24, 2015 - The Homicide Squad reports the details of a Serious Vehicular Accident that occurred at 10:35am on Sunday, May 24, 2015 in Oceanside. According to Detectives, the twenty-seven year old female victim was riding her bicycle south bound on Lawson Boulevard and attempted to cross Anchor Avenue. The victim was struck by a 2012 Dodge pick-up truck travelling east bound on Anchor Avenue turning left onto Lawson Boulevard operated by a forty-nine year old male. The victim was transported to a local hospital with head trauma and is listed in critical condition. 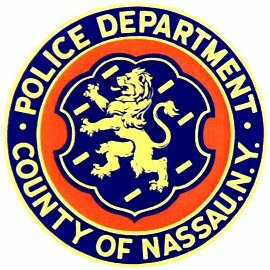 The Nassau County Highway Patrol Bureau responded to the scene to perform brake/safety checks on the vehicle involved. The investigation is ongoing. Subject: LongIsland.com - Your Name sent you Article details of "Female Bicycle Rider Hit By Vehicle in Oceanside Succumbed to Her Injuries"